The Office of Public Counsel for Defence has released a report (attached at end of post) about the work being conducted by the Study Group on Governance, Cluster I (SGG-C1), in The Hague, and the Working Group on Amendments (WGA), in New York. On ​14th ​October​, ​the OPCD attended the ‘Special SGG meeting’, which took place in The Hague. PLEASE NOTE that the following text consists of informative draft notes only taken by an OPCD representative to the best of their abilities, and are not an official transcription of the record of discussions. 1.1 The President summarized the contents of the report to State Parties, emphasizing that the exercise of ‘lessons learnt’ to expedite proceedings is a priority for the Presidency. She also stated that there are now more Judges involved in this process (it’s a ‘collective process’) and that in principle the focus is on harmonizing practices, rather than amending the texts of the Court. 1.2 Nevertheless, with respect to proposed amendment to Rule 165 (i.e. article 70 proceedings with a pre-trial chamber constituted by 1 judge, a trial chamber consisting of 1 judge, too, and an appeals chamber made of 3 judges), the President spoke of: article 70 proceedings not being core crimes; article 70 proceedings having to be treated differently; the Rome Statute not being very detailed with respect to article 70 proceedings; many provisions of the Rome Statute not having to apply to article 70 proceedings. The ICC President also referred to the current lack of judges at the ICC, having 11 for ‘core crimes’ proceedings, within a total of 18 at the Court; she stated that it is not only a matter of ‘workload’ but also of avoiding ‘conflicts’. Finally, the President said that we need to be fast in article 70 proceedings. 1.3.1 Question: Paragraph 72 (at page 17) of the report states that the proposal is made ‘[i]n view of the limited pool of judges’. 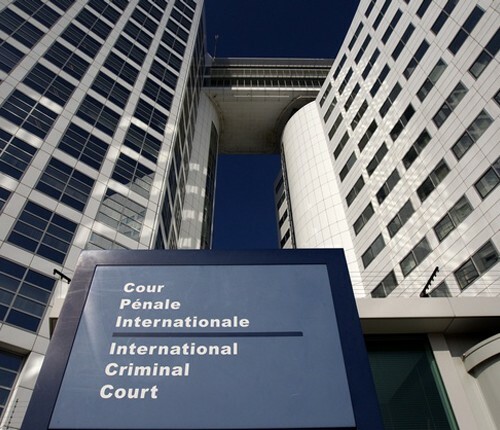 If a member of the public asks me ‘why you do not have enough judges at the International Criminal Court?’, what can I answer? Answer: We have restraints. There is a possibility of requesting additional judges, but we also have to solve problems with existing limitations. In the short term, this is a solution. States can also take up these cases at the national level. But it’s a practical solution for now. 1.3.2 Question: When could we have an official document on the amendment proposal? Answer: It should be ready quite soon. If you do not have it, you can approach the ACLT. 1.3.3 Question: Are State Parties intending to submit this proposal for amendment in the agenda of the coming ASP? Answer: I don’t think it will be ready for this ASP. 1.3.4 Question: Could this proposal, if adopted at the ASP, be applied retroactively to current article 70 proceedings? Answer: It would not apply to current trial proceedings. 1.3.5 Question: Could this proposal be in contradiction with the Rome Statute? Specifically, I am thinking of Article 39 and Article 74. Answer: There is latitude for these (article 70) proceedings; these are not core crimes. 1.3.6 Question: What are the safeguards in place if, for example, a Judge becomes unavailable, for example, due to illness? Answer: Well, the same happens in a 3 judge trial bench…We have to deal with the risk. 1.3.7 Question: Paragraph 73 (at page 17) of the Report speaks of an amendment to the Regulations of the Court. When could we have a document on the amendment proposal? Answer: We are still at an early stage of the proposal. 2.1 Following the ICC President’s presentation, the SGG-C1’s co-focal points from Peru and New Zealand presented the draft report on the work performed by the SGG-C1 during 2015, for State Parties to comment upon. The co-focal points also informed that this would be the last SGG-C1 meeting of the year. 2.2 The OPCD representative asked the co-focal points a) whether they knew (from information they could have learned of from the WGA, in New York) if finally the ‘language cluster’ amendment proposals would be included in the agenda of the coming ASP for adoption, and b) whether the SGG-C1 co-focal points had any report on the discussions taken place in the WGA with respect to the ‘language cluster’, in order for it to be shared, and have a record of said debates for the sake of transparency. Answer: The co-focal points confirmed that the ‘language cluster’ proposal will not be included in the agenda of this year’s ASP due to lack of consensus. On the other hand, the co-focal points added that they are not aware of any existing report on the discussions.